Rochester, N.Y.—Local IT consulting and services provider iV4 has been named among the globe’s Top 100 Public Cloud Managed Service Providers (MSPs) of 2018 by ChannelE2E. iV4 is a 2018 Rochester Top 100 company. The annual program recognizes the fastest-growing privately owned companies in the Greater Rochester region and we are so proud to be named among them. iV4 is included on Redmond Channel Partner Magazine’s list of the Top 200 Microsoft Solutions Providers of 2017 in the United States. iV4 is excited to take part in CNY STEM's Job Shadow Day on February 2.
iV4 was featured in the Rochester Business Journal Daily Report on July 13. 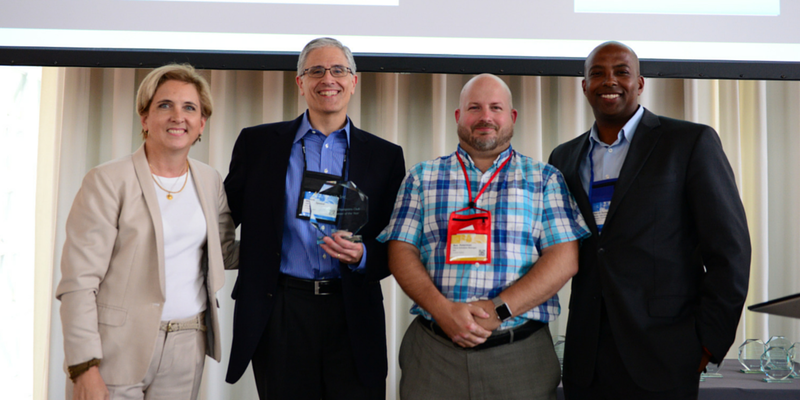 The winning streak continued for iV4 at the Microsoft Worldwide Partner Conference which took place in Toronto, July 10-14, naming iV4 the 2016 Northeast Cloud Partner of the Year for Small and Mid-sized Businesses (SMB).